The investigation into the appointment of Sindh governor has revealed that the federal government is considering the name of Muhammad Zubair Umar, Dr Mifta Ismail and Senator Nehal Hashmi for the key slot, it is reliably learnt. As per details available with Pakistan Today, Muhammad Zubair Umar is on top of the list for the vacant coveted slot followed by Dr Miftah Ismail and Senator Nehal Hashmi. The position of the Sindh governor fell vacant after the death of the province’s 31st governor Justice (r) Saeed-uz-Zaman Siddiqui on January 11, 2017. Justice (r) Siddiqui assumed the charge of the office after the removal of the Sindh’s longest serving governor Dr Ishratul Ebad Khan on November 8, 2016. Sources privy to the development told this scribe that the federal government has hastened the process of the selection of the candidate for the appointment of the Sindh governor. “The federal government is considering three names, including Privatization Commission Chairman Muhammad Zubair Umar, Board of Investment Chairman Dr Mifta Ismail and Senator Nehal Hashmi,” the sources claimed. “There was a possibility that Muhammad Zubair Umar, who is the son of General Ghulam Umar and brother of Pakistan Tehreek-e-Insaaf (PTI) key leader Muhammad Asad Umar, would be appointed as the next Sindh governor,” the sources maintained. Dr Miftah Ismail, who worked with the Pakistan Muslim League-Nawaz (PML-N) government closely, is the second suitable candidate, but Senator Nehal Hashmi, according to sources, is out of the race due to the swift resistance of PML-N Sindh-based leaders. Muhammad Zubair Umar is currently serving as Privatization Commission Chairman. Umar served as Board of Investment (BoI) Chairman from July 12, 2013, and December 17, 2013. He served as economic and tax reforms expert and media committee of PML-N during 2012 and 2013. He worked for a leading US IT company, IBM, from 1981 till 2007. He served as IBM Pakistan’s chief financial officer between 1998 till 2003 and IBM’s Middle east/African region chief financial officer during 2004-2007. Dr Miftah Ismail is serving as Special Assistant to the Prime Minister and BoI Chairman. He is also serving as Sui Southern Gas Company (SSGC) Director since October 2013. He worked as Pakistan International Airlines (PIA) director from October 2013 till June 2014. He held the position of Punjab Board of Investment and Trade vice chairman. Dr Ismail also worked as an economist for International Monetary Fund (IMF) from August 1992 until May 1993. He got a degree of BS in business from Duquesne University during 1983 to 1985. He got his PhD degree from University of Pennsylvania during 1985-1990. Senator Nehal Hashmi—born on January 28, 1960—is a lawyer by profession. He is holding the office of PML-N Sindh General Secretary and was also appointed as the president of PML-N Karachi division. Senator Hashmi is PML-N CWC member and Advisor to Prime Minister on Law, Justice and Human Rights. 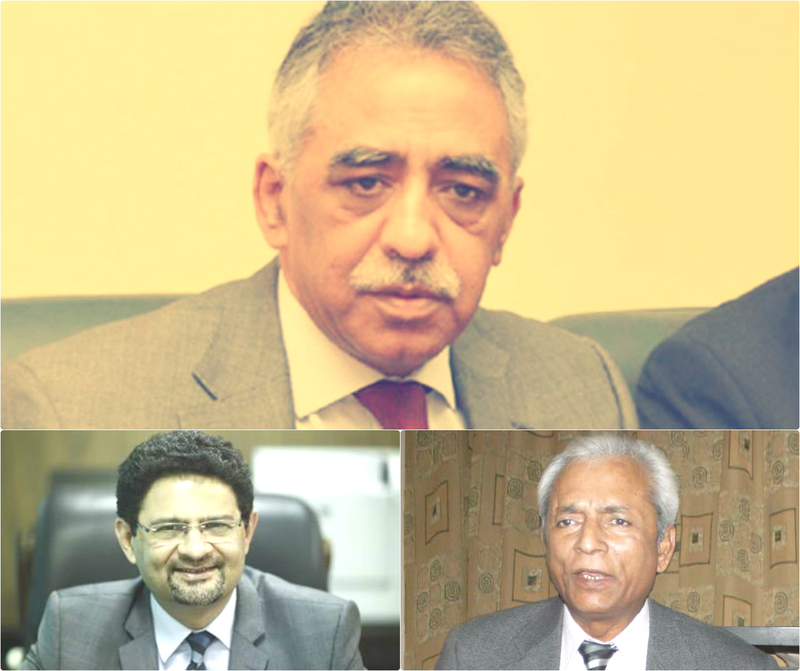 Talking to Pakistan Today, PML-N Sindh Deputy Information Secretary Asad Usmani confirmed that the names of Muhammad Zubair Umar, Dr Miftah Ismail and Senator Nehal Hashmi were under consideration for the key post of Sindh governor, but the decision hasn’t been made yet. Aamer Majeed is a staff reporter.